Many students are searching for icwa course details. That’s why here we are giving full details of the course structure and other information like ICWA full form etc. Institute of Cost and Works Accountants of India is the ICWAI full form. 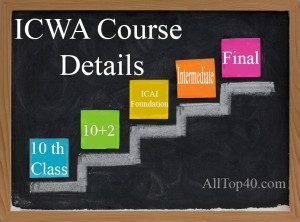 The course offered by the ICWAI is known as “CWA Course” later name changed into CMA. There are three different stages in the icwai course. The stages are CMA Foundation, intermediate and final. Note:- ICWA Course name was changed as CMA course. So dont confuse with that. According to the notification released CMA intermediate name Changed to CMA Executive and CMA Final name changed to CMA Professional. After completion of the 12th class, a candidate can apply for the foundation course. ICWAI has changed its name to The Institute of Cost Accountants of India and also ICWA course name is changed into CMA course. Full form of CMA is Cost Management Accounting. There is no difference between CMA and ICWAI Course. These two names are describing the same thing. Students searching for CMA course details can find the answer to their doubts from this post. At present ICWA course has been renamed to CMA Course (Cost and Management Accounting). ICWAI, ICWA, CMA is the same Institution. ICWA or CMA Exam is the Post Graduate Entrance Exam which is conducted by Institute of Cost Accounts of India and it is One Year Post Graduate Course. The exam for the entrance is held twice every year in the months of June and December respectively. See all the three stages of icwaCourseDetails. They are Foundation, Intermediate, and Final. See the full icwa course structure in this post. Note:- Examination is conducted twice a year. The candidate has to pass 10th class or equivalent from a recognized board. 10+2 from a recognized board or an examination equivalent to 10+2 which is recognized by the central government. Or diploma in commerce examination held by all India council of technical education. Also Check Other Courses After 12th Commerce. Graduate candidates can apply directly for the intermediate course. So foundation course duration is saved for graduate applicants. See the subjects of the course below in a stage-wise manner. 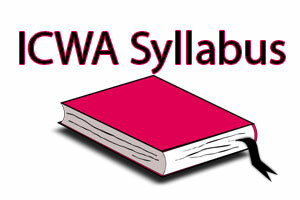 You can see the Latest changes in the CMA course syllabus at our another post – ICWAI Syllabus 2016 for complete details. Current ICWAI Examinations are conducting on the basis of “ICWAI Syllabus 2012” but there is a change in the ICWAI Syllabus. Notification is released about ICWAI Syllabus change. According to that notification, CMA Inter and CMA Final courses will be called as CMA executive and CMA Professional Courses. Examinations from 2016 will be conducted based on “ICWAI Syllabus 2016”. Quick Remainder:- This course contains 3 stages. Foundation, Inter & Final. Minimum Qualification required is 10+2. Paper 4: Fundamentals of Business Mathematics & Statistics. ICWAI Study Materials For Foundation, Inter & Final. Final: Minimum duration of the course is Eighteen months. See complete details about registration procedure, fee, regional offices and more below. CMA Inter Pass Marks sheet / Certificate. Students who registered at least 4 months before the ICWA Registration Last date are eligible to write the examination. Uniform Fee Structure for pursuing CMA Courses is notified and shall be made effective for all registrations/enrollment to the Intermediate/ Final Course with effective from 01.02.2015. It may be noted that CMA Foundation Course Fee structure is uniform – irrespective of either Oral or Postal mode of coaching. The candidate has to apply 4 months before the examination. Then only he/she will be eligible to write the exam. See the last dates below. Apply to the following Regional Councils with duly filled in application together with relevant documents. Covering areas: Gujarat, Chhattisgarh, Madhya Pradesh, Goa, Maharashtra.union territories: Nagar haveli, Dadra, Daman Diu. Covering areas: Andhra Pradesh, Tamil Nadu, Karnataka, Kerala, Pondicherry. Union territory: Lakshadweep. Covering areas: Assam, Arunachal Pradesh, Bihar, Jharkhand, Manipur, Meghalaya, Mizoram, Nagaland, Orissa, Tripura, West Bengal, Sikkim, The Andaman & Nicobar Islands and Foreign Countries. Eastern India Regional Council, 84, Harish Mukherjee Road, Kolkata – 700025. Covering areas: Delhi, Haryana, Himachal Pradesh, Jammu & Kashmir, Punjab, Rajasthan, Uttar Pradesh, Uttaranchal. Union Territory: Chandigarh. Northern India Regional Council, 3, Institutional ares, lodi road, New delhi – 110003. 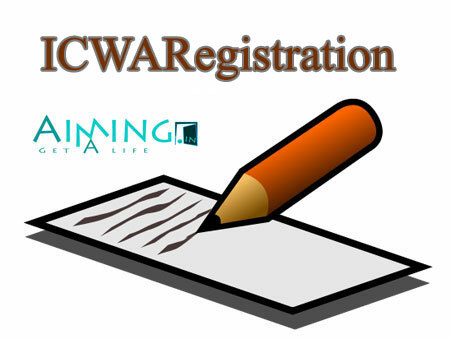 You can check the ICWAI Registration status online for Foundation, Executive, and professional courses. 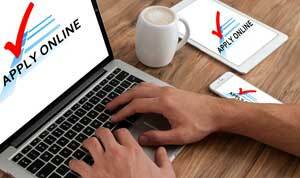 You can check the status of your application with different combinations of Application/Registration number with Date of Birth, Email ID with DOB and Mobile number with DOB. Make sure that you have the following before you fill the application form. They are Contact details like Address, mobile number, and Email ID. Passport size photo (Scanned copy) in jpg or jpeg format. Certificate of Age proof in PDF format not exceeding 600 kb. Scanned copy of Signature in jpg or jpeg format. Certificates of Educational Qualification in PDF Format not exceeding the size of 600 kb. Upload all the documents and Make payment. Registration or Identification number will be generated after verification from the director of studies. After Registration or Identification is generated Study materials will be dispatched. Incomplete applications are available for 30 days for completion from the date of original registration. In the case of not applied properly and After 30 days to the original application date no data will be available and the applicant needs to apply for a fresh application. How much time will be taken to complete icwai foundation ? Can icwa inter be done at regular in india? It is depends on your interest and ur willingness or upto ur dreams. what do u want to become it is upto u. Both streams are best. I am Jasbir, want to know that can i do registration online for Sept, 2016 examination in this month Please anybody tell me. I have Completed B.com Degree And Direct Entry ICAI, IPCC join Articelship, but new addmisson in a Cost and Management Accoutancy Course give details please. How many funds will be in total for I.C.W.A? CAN I DO THIS COURSE WITH B.COM APPEARING? Sure brother. But u have to put efforts. Withou lending more time on ur mobile. Make a mind and do it. And go to tutions for ICWA. I AM DOING B.COM S.Y. APEARING WHAT IS BEST CA OR I.C.W.A.I. Which is the best CA or I.C.W.A. for jobs scope (give me details). Is there any age limit for enrollment in I C W A Inter examination under new syllabus 2016? I passed cpt and I want to convert my course in cma. am I eligible for intermediate directly or I have to do foundation? I have done my B.Com in 1997. Can I opt for the intermediate course directly or need to clear foundation course first. is there any age limit? and what are the documents required as I am married woman? I have passed B.com (Pass) in 1999 and 8-year experience in accounting. I want something related with accounting for good opportunities. Pls. suggest me. How much time will be taken to complete icwai intermediate ? ‘m doing my mba in finance. but my bchlr degree was not in commerce or any related stream. so could I do this? I have completed my b.com I want to pursue ICWAI what is the procedure for taking admission in this course. 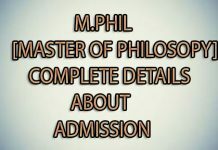 Please give the full detail of admission from registration to admission as soon as possible. I have completed I.C.W.A. (Inter) in 1999, i have also got registration in final but never appear in Exam. So may you pl. tell me whether i may appear in Final exam with new registration. I had completed BBA. Now, can I do icwa? Tell me the scope of icwa for me or is it good for me or not. yes friend we can do.I am also BBA student now Am preparing for final exams. Best of luck. Dear Sir, I’m Joining the CMA 2009 (course syllabus 2012) but not entering the exam. is there any direct eligibility to intermediate CMA after B.Com…..reply ASAP. sir/madam i did 10+2 , after that i finished my 3 year degree(BBA) corresponce in madaras university. Then i did my MCA in IGNOU. Now am P.graduate. Can i do intermediate,directly ? If i am CMA holder from USA and i would like to know if I need to have ICWA certification from India so How much should I pay? And How long will it take? Is there any age limit for appearing icwa exam??? I am working government department.I have done BBA.,can i join icwa course for my promotion. I AM M.COM AND WE HAVE EXPERIENCE 6 YEARS PLEASE MAIL ME CAN I A JOIN DIRECT FINAL COURSE mail me. I am student for m.com can I apply for icwa plz give me sugeestion. Is there any good institute for CMA available in Pathanamthitta or Kottayam locality? I NEED INFORMATION ABOUT INTER EXAMINATION OF DECEMBER ATTAMPT 2017 FULL DETAILS. is there any institute ICWA available In bharuch(Gujarat)? Sir I am Student of B.com so I Want to Know That How many Percentage Required in B.Com to join ICWA course? Can CPT of CA is equivalent to the Foundation of ICWA? sir, i completed BBA in open university , am i eligible for this course . pls provide details for me , kindly thanking you. I m doing b.com 3rd sem with accountancy honours,how can I do icwa? I have query regarding documents, please suggest. I have lost my all original mark sheets but zerox copy of mark sheets are available. so can i upload pdf file of zerox copy of mark sheets? I am a b.com student and applied MBA in distance education thru Madras university but I am not attending the exams shall I do icwa? Dear Sir, I am pursuing B.com at this time. After Complete B.com, I wanna join CMA Intermediate for which how many percentage i will have to obtain in B.com. Dear sir im veeramanikandan.s I completed DECEi wanna to join ICWA cousre sir..
what is the validity period for ICWA Inter? Can one register for ICWA Final 3 years after passing ICWA Inter? Im persuing B.com 2nd yr, now can i apply for inter in ICWA and write the exam after my graduation? Hi I m Anand I m a b.com final year student .if I join ICWA course should I must complete intermediate and final stages or intermediate is enough. Would i be able to do icwa.. I also want to know the scope as well as criteria for this course…. Main commerce ka student hu. Hindi mediam se . mujhe ICWA karana h.kya ho sakata h.
I have done B.com pass in 2014 can I apply I.C.W.A please give me suggestion . I did my 10th in state board that was from a private institution. I got my 12th completed from state board this was from a regular school. Am I eligible for applying this course? I am graduate from b.com in vbu hazaribag and i am working in private company as a jr. accountant, so can i know that can i do the icwa course without training (because my financial position is very poor so i want complete the course with part time job) only tution. i am waiting your correct appreciate answer. Being a bio student will it be tough for me to pass icwa exams ………..wat if I appear for icwa exams? Hi, can we do icwa with a job? Is this a full-time course? and what about lectures of this course? Me msc(pre)ka student hu or m icwa ka course kr sakta hu kya??? Please let me know how can I shift my registration from 2012 syllabus to 2016 syllabus. 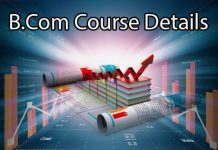 I have completed M.com 2006 (B.com and M.Com studied by Distance Education) I want to pursue ICWAI what is the procedure for taking admission in this course. Please give the full detail of admission from registration to admission as soon as possible. I have completed Bcom with 45% marks Can i do ICWA ? This information you provided in the blog that was really unique ,Thanks for sharing such a great blog. Respected Sir, you are provided this information very useful i am complete B.Com in 2003.currently working in accounts dept in pvt.ltd co. can i registration under ICWA Intermediate Registration.please guide me. Hi my name is Isha my brothet in law completed +2 commerce in 2008.Post that he did B.com from EĹLIM university. Right now he is persuing MBA from KR Manglam University. He is not getting job as no one is considering bcom valid. Really confused what to do? I am Sumana Roy.I am Arts graduate.Can I elligible for this course? Hi I have done my Bsc Information Technology and tally course & MBA Finance correspondence as well i have 9 years work experience in accounts i wants to do ICWA Inter is possible i can do ? and schooling 10th & +2 ( Biology Group) ? I HAVE DONE BBA (FINANCE) AND M.COM SO WHICH LEVEL OF EXAM I HAVE TO GIVE.? Hai I’m MBA graduate. I’m apply for icwa course. 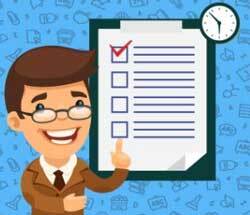 Hello, I am a MBA graduate in Finance- Will I get few subjects exempted apart from Foundation exam? I am ex-student of CMA Inter Syllabus for batch 2012. and again i want to continuous my study for CMA. I need the information about the criteria for re-joining the Intermediate syllabus. I completed my Graduation..Can I apply for ICWA…If I apply for it will the fund…& From what satge I want to join…? i am completed B.C.A / B.Sc (Computer Science). can do this course. pls clarify. I am completed my b.com finance and i am interested to do this course. 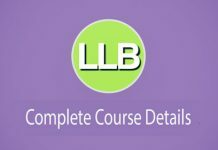 please provide me proper detail about this course. I have completed my Graduation in 2015, want to do this course (CMA), How much time it will take, what is the total amount of this and scope. when would i apply and Which institue is best for this course.